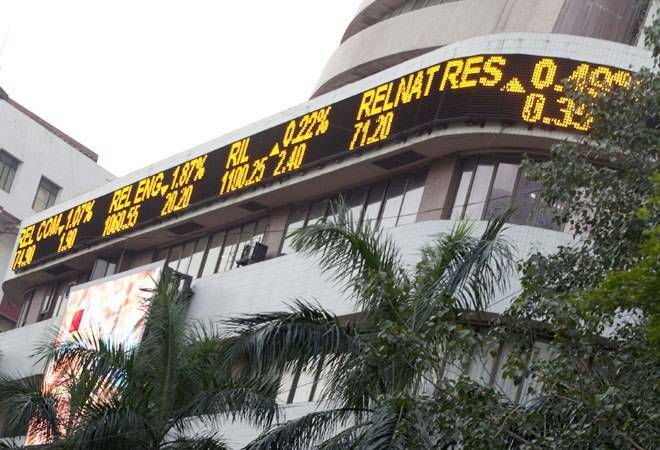 The BSE Sensex rose by 33.29 points, or 0.09 per cent, to close at 35,962.93, while the Nifty settled at 10,805.45, up 13.90 points, or 0.13 per cent. The Indian equities ended marginally higher in see-saw trade on Friday, helped by sustained buying across index heavyweights such as Bharti Airtel, YES Bank, ONGC, NTPC and Power Grid Corporation of India. The market sentiment remained fragile in face of rising crude prices, weak rupee and bearish cues from Asian peers. The BSE Sensex rose by 33.29 points, or 0.09 per cent, to close at 35,962.93, while the Nifty settled at 10,805.45, up 13.90 points, or 0.13 per cent. In the volatile trade, Sensex touched an intraday high and low of 36019.02 and 35813.85, while the NSE Nifty touched an intraday high of 10815.75 and an intraday low of 10752.1. In line with benchmark indices, the broader markets also ended tad higher with MidCap and SmallCap indices rising as much as 0.19 per cent and 0.03 per cent, respectively. On the sectoral front, oil&gas and PSU indices were among top gainers on BSE, rising as much as 1.74 per cent and 1.11 per cent, respectively. Shares of Yes bank rose over 3 per cent a day after falling over 6 per cent, after a media report suggested that Brahm Dutt could be a part-time Non-executive chairman of the lender. Brahm Dutt, who is currently serving as Independent Director of the bank, is likely to be the part-time Non-executive Chairman of the private sector lender, according to a CNBC-TV18 report. Fortis Healthcare shares declined over 6 per cent to close at Rs 141.65 apiece on the Bombay Stock Exchange after the Supreme Court today ordered a status quo on sale of the hospital chain company to Malaysian group IHH Healthcare Berhad. Among others, shares of Anil Ambani-led Reliance ADAG Group companies ended in positive terrain after the Supreme Court ruled out an investigation into the deal for 36 Rafale fighter jets worth Rs 58,000 crore. On the flipside, Housing Development Finance Corporation, Wipro, Larsen & Toubro, Bajaj Auto, Sun Pharmaceutical Industries were among top losers. Overseas, Asian shares tumbled after China reported a set of weak data, fanning fresh worries of a sharp slowdown in the world's second-biggest economy and leaving investors fretting over the wider impact of a yet unresolved Sino-US trade dispute.